« Here’s What a Man Consumed and Overcame His Diabetes Without Medicine! 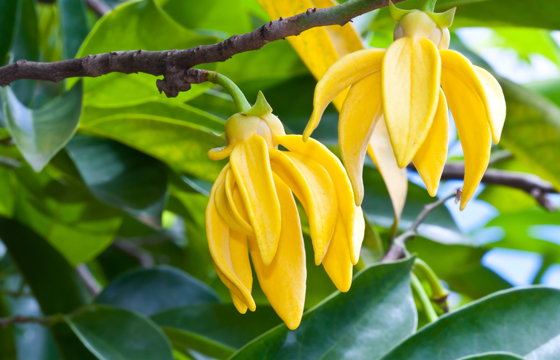 Doug Nelson, a member of the Zija Product Advisory Council, provides valuable insight about Améo Ylang Ylang Complete and the beneficial botanical it comes from. Now (ends September 18th) you can purchase Améo Ylang Ylang Complete with a 10% discount off the regular purchase price. Cananga odorata of the Annonaceae family commonly known as ylang-ylang (“alang-alang”), meaning “a flower of all flowers,” is a tropical tree originating from the Philippines and Indonesia. It is also grown in Asian and the South Pacific Islands. In the right environment, which is typically a rainforest habitat, the tree can grow up to 40-50 feet tall and produces a flower that resembles a drooping star fish with clusters of six narrow leafed greenish-yellow petals. When the petals mature they turn a dark yellow hue just before falling off. The tree will bloom year round on and off during the warm months of the year. The trees begin producing flowers typically when they are 3 to 4 years old. The flowers of the Ylang Ylang have their most intense fragrance from dusk to dawn and are harvested for distillation typically at sunrise when their aroma is the most intense. Ylang Ylang yields a highly fragrant essential oil that is highly valued both in the perfume and the essential oil industries. In the perfume industry it is widely used and most notable for its fragrance and reputed contribution to the formula of the highly expensive Chanel No. 5 perfume. Legend has it that in 1921 Coco Chanel petitioned a perfume-maker to create a women’s scent. He presented her with five different scents and she chose the 5th one made up of the essences of rose, jasmine and ylang ylang flowers. To coincide with the chosen 5th sample her collection was introduced for sale on the 5th day of the 5th month. In the essential oil industry it is noted and believed to promote relaxation, peacefulness, and emotional balance. It is also considered to be an aphrodisiac and was used by some of the Polynesian cultures as such. The distillation of Ylang Ylang is somewhat unique in that distillers remove the oil multiple times throughout the long distillation and then classify the oil in grades of Extra, I, II, and III. The oil extracted during the first distillation is called Extra where the highest proportions of esters, ethers and phenols are extracted. The flowers are distilled again resulting in an oil extraction that is classified as I, and subsequent distillations as II, and III. Duration of the distillation and rest between distillation cycles producing the different grades varies with distillers. This distillation process is often used to affect the fragrance and use primarily for perfumery applications. Extra oil that comes from the first distillation period has the sweetest odor and is the distilled oil that is often used in the perfume industry. Subsequent distillations have a reduced and less-sweet odor or note. Ylang Ylang Complete provided by Améo is a result of uninterrupted distillation of the Ylang Ylang petals for 10 to 12 hours, providing the clincical grade essential oil. We use a steam boiler that produces a steady flow & pressure with stainless steel equipment. Using the best flowers, equipment and the complete distillation provides an oil with the full array of constituents in the appropriate concentrations. Améo’s CERTI-5 standardized tests qualifies the oil as having the highest clinical grade profile before it is distributed to the Améo distributors. Caution should be used when purchasing Ylang Ylang oil from unproven vendors since the essential oil may be represented as a Complete therapeutic grade oil, however it is an oil that is a product of one of a series of distillations and lacks the full and complete potency of all the primary constituents that are related to having the most beneficial therapeutic and medicinal affect.